Can you define a wine by the people who make it? Today on The Academic Minute: Kerri Lesh, Ph.D Candidate and Certified Specialist of Wine at the University of Nevada, Reno, uncorks one wine that evades normal descriptions. 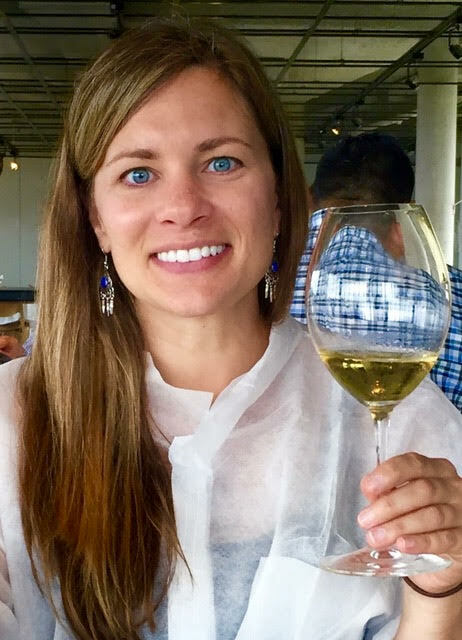 Kerri Lesh is a Certified Specialist of Wine (CSW) and Ph.D. candidate in the doctoral program at the Center for Basque Studies, University of Nevada, Reno. Her research interests lie in cultural and linguistic Anthropology as she studies the Basque language and gastronomy. When we talk about wine, such as a Burgundy or Chardonnay, we often refer to it based on place or grape. But, what happens to the identity of a wine when it is not definable by such qualities? Txakolina, a local wine found in the western part of the Basque Country–which straddles the border of Spain and France–offers insight into the evolution of Basque culture and gastronomy by asking this question. The wine, with its disputed orthography, etymology and origins linked to either the Basque, French, or Hebrew languages, was traditionally made in the baserri or Basque farmhouse and continues to be consumed in gastronomic societies known as txokos, as well as other drinking establishments. As winemaking methods have changed, many have started to see that it has evolved on the palate. Invoking a powerful sense of place, its acidity and freshness have remained as it has transitioned into various styles. These styles further complicate its definition, not just by its origins or etymology, but also as a general concept for what defines a wine. When asking producers to answer this question, some claimed it was the people who make it, the Basques, some said the grapes, while others emphasized that it was the place in which the grapes are grown–the terroir–that gives it its nortasuna, or identity. The definition of txakolina is further complicated by its production in Chile, where it can also be called “chicha,” a beverage common to Latin America made by fermenting grains or fruit. There, its presence is likely due to immigration from northern parts of Spain and the Basque Country. Debates surrounding this wine lend insight into questions about cultural appropriation and diffusion among different production sites, while also highlighting the balancing act of retaining local Basque identity as the Basque Country is being branded as a Culinary Nation.